We spend a large part of our day at work, but when we’re there are we engaged and productive? It’s so easy to glance at Facebook, answer personal emails or calls, browse the web for the latest news, or look up a new recipe to try for dinner, but all those short distractions can add up to a lot of wasted time. 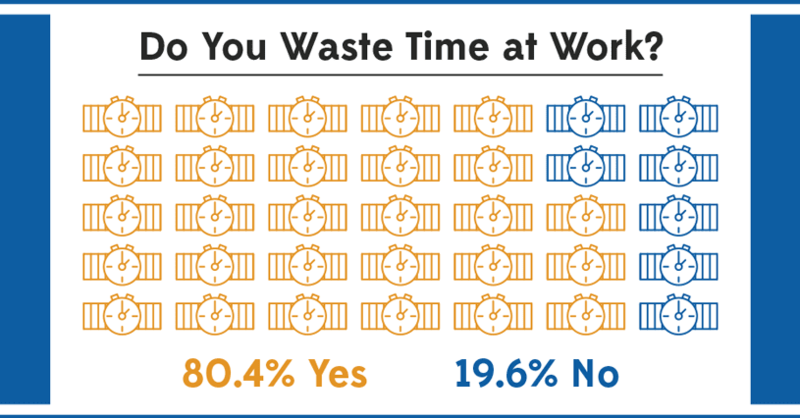 We wanted to know: How much time are people actually wasting at work? 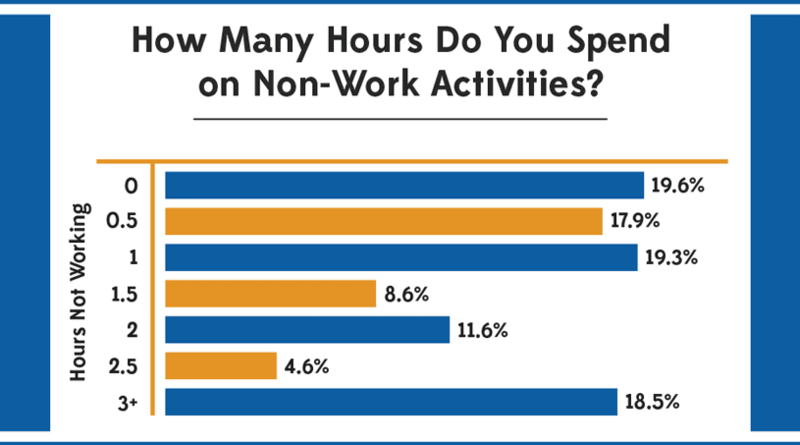 To find out, we surveyed 2063 adults between the ages of 25 and 64 and asked them how many hours they spent on non-work activities during an average work day. Only 19.6% said they didn’t waste any time, while 17.9% wasted thirty minutes, 19.3% wasted an hour, 8.6% wasted an hour and a half, 11.6% wasted two hours, 4.6% wasted two and a half hours, and 18.5% wasted three or more hours. This means that overall, 80.4% of people waste time at work! The amount of people wasting three or more hours at work was surprisingly high at 18.5%. 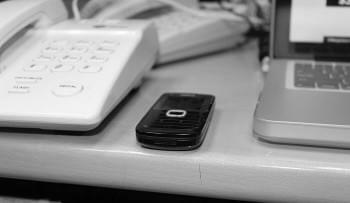 That’s almost one in five people wasting more than a third of their time at the office. In a week, this adds up to at least 15 hours, or nearly 2 full workdays of wasted time. In a year, it adds up to 780 hours, or nearly 98 workdays. Not only does this hamper employees’ output, it also means that nearly one in five employees are getting paid for a lot of work that they aren’t actually doing. To put this in perspective, the average American worker makes $47,230 a year, or $22.71 an hour. If we make a conservative estimate and assume most of these people waste three hours per day and are paid an average salary, we see that employers are spending $340.65 a week, or $17,713.80 a year, on wasted time. 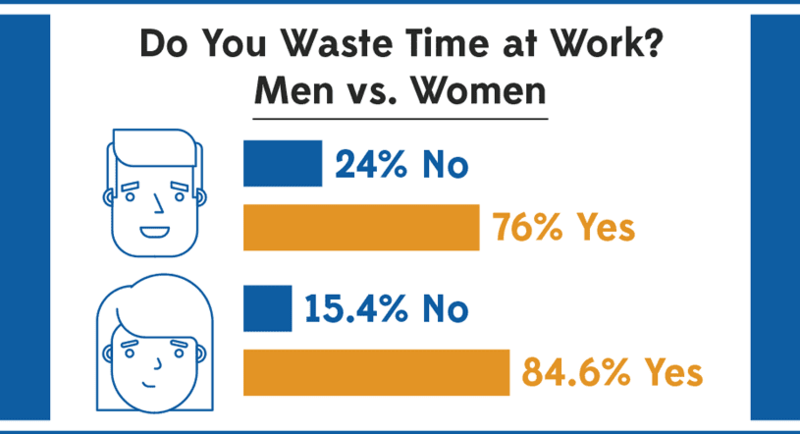 According to the survey, 24% of men said they didn’t spend any time on distracting non-work activities, while only 15.4% of women said the same. One possible reason for this is that men feel more fulfilled at their jobs. Because they enjoy their work, they may be less likely to get distracted or waste time on the job. A 2014 study by Harvard Business Review polling 25,000 Harvard Business School grads revealed that 50-60% of men felt extremely or very satisfied, while only 40-50% of women felt extremely or very satisfied. Another possible reason is that women are distracted by childcare responsibilities like checking in on their children via phone call or text or checking in with babysitters. In the Harvard Business Review study, 75% of males expected their partners to take primary responsibility for childcare and though only 50% of women expected to take primary responsibility, closer to 67% actually did. And according to Pew Research Center, mothers are now the sole or primary provider in 40% of households with children. As such, women juggling work and childcare may be more likely to spend more time on non-work activities while at work. Millennials reported wasting more time than older employees. 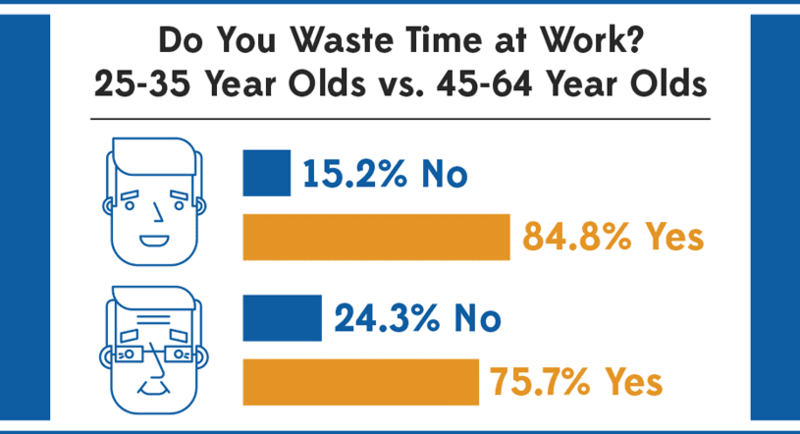 Only 15.2% of 25-34 year olds said they wasted no time at work, while 24.3% of 45-64 year olds said they wasted no time. This may be due to the fact that millennials have different expectations for their time spent at work. In a 2012 study for MediaPost, 70% of millennials said they needed ‘me time’ at work, as opposed to 39% of Baby Boomers. Millennials also expect a more social work environment, which could increase non-work related distractions. Though we didn’t survey how people wasted their time at work, CareerBuilder’s 2014 survey of 3,022 full-time private sector employees showed that the top non-work activities included talking on the phone or texting, gossiping, browsing the web, and checking social media. However, workers also felt distracted by work-related activities like unproductive meetings and noisy coworkers. To limit distractions, some employers block certain sites, prohibit personal calls and cell phones, monitor emails, reduce meetings, and organize the office in an open space layout. But if it’s not possible to structure your office this way, there are still many strategies that you can suggest to help your employees stay focused. 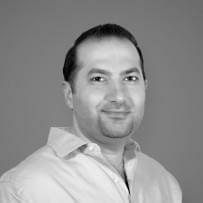 Set concrete goals of what you are going to get done for the day and allot blocks of time to them. This will help you focus on micro-tasks instead of feeling overwhelmed by all that you have to get done. Turn your phone on silent, don’t use iMessage on your computer, and turn off notifications for personal emails to help minimize distractions. Listen to music or white noise to drown out noisy or toxic coworkers and help you concentrate. Create a shared calendar so people know your schedule and can determine the best time to come ask you questions or collaborate. Maintain a clean and organized workspace. This will help you focus on what you’re working on instead of getting distracted by what’s on your desk or feeling overwhelmed by a messy work area.